So. 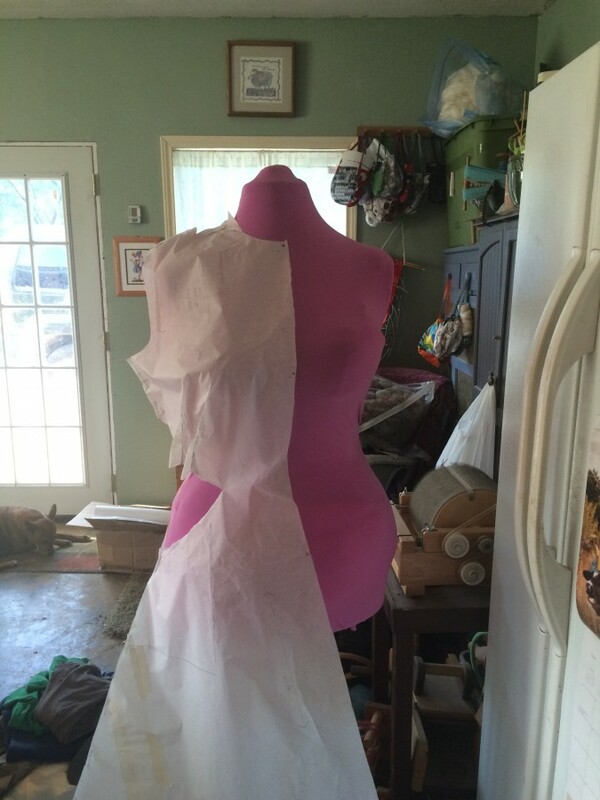 Here we go, attempting my very first dress. Of course, I can't choose an EASY pattern to start with, now can I? No, no - I need to choose 1 that has cut-outs and inserts. :bangs head: Ah, well - I tend to jump in feet first, so why change now? 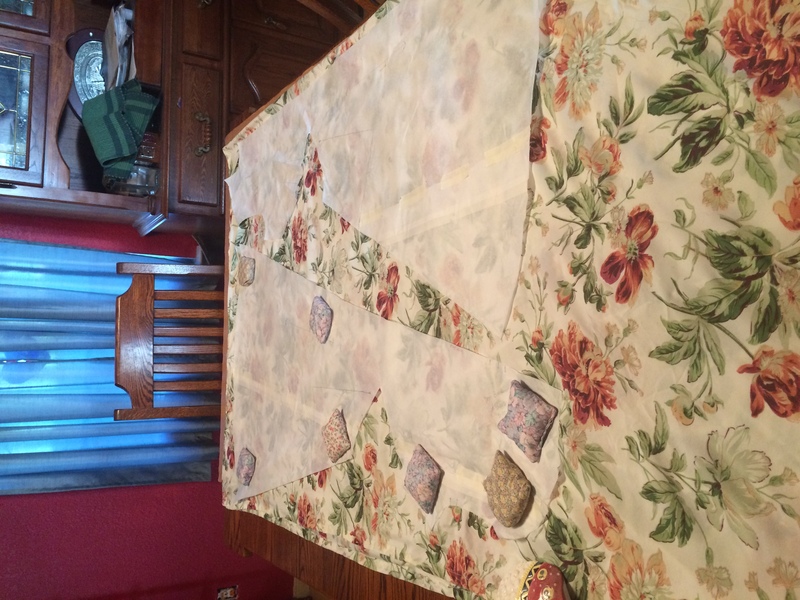 I decided I'd do this "right" - first I'd fit the pattern, to see what changes I needed to make, then I'd make a muslin (using old sheets....um, yeah. We'll talk about *that* in a moment!) 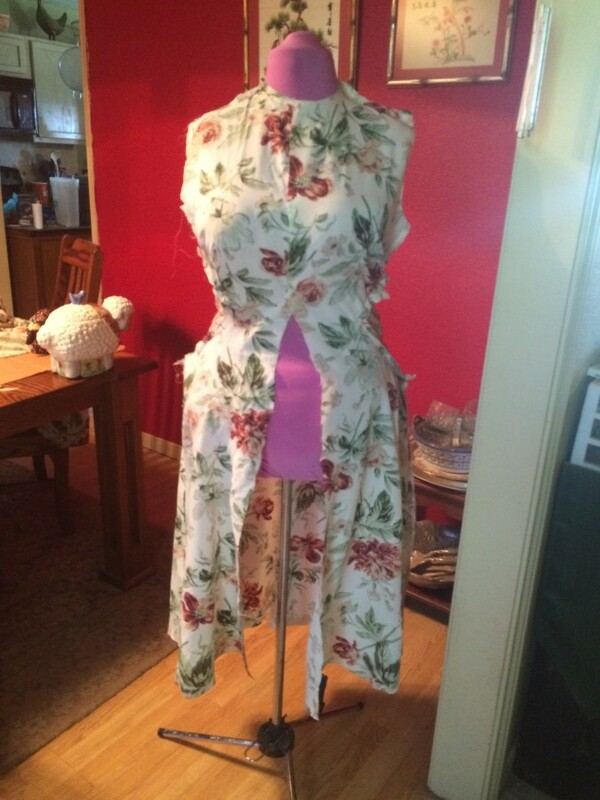 and make any changes to IT, then add them to the pattern, THEN I'd cut the "real" fabric for the actual dress. Yes, it's a lot of work. I want this dress to *fit*, so...it needs to be done. First up: I decided to cut both backs and both fronts out at the same time. It *should* have worked, and it would have saved time. 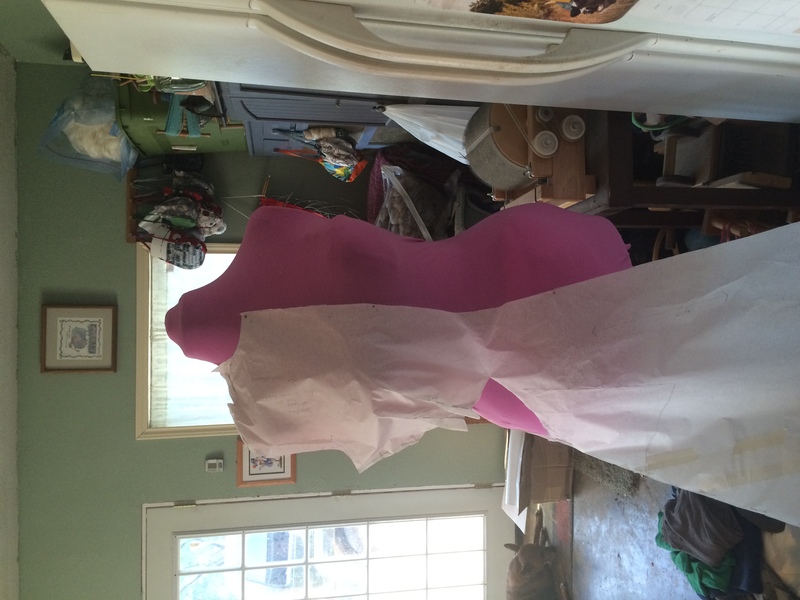 Unfortunately, this sheet is a slinky bit of hell - the fabric shifts, and moves, and STRETCHES. 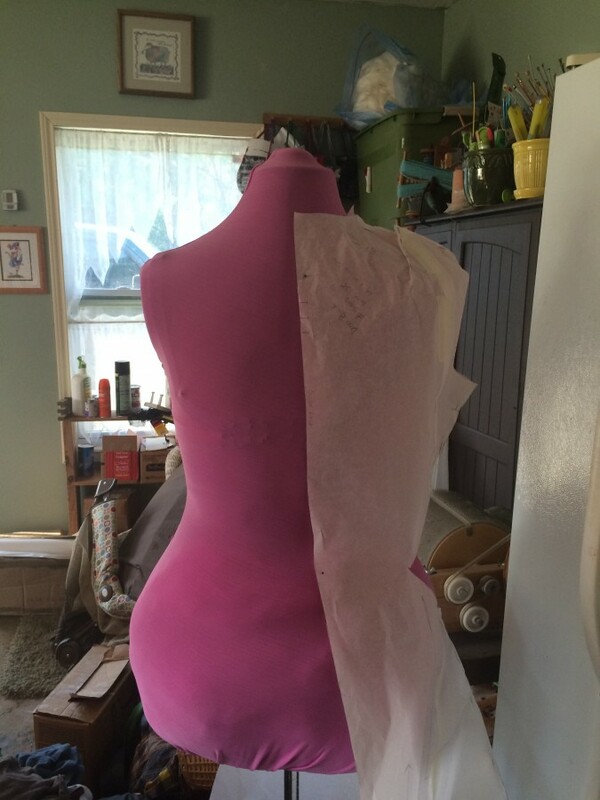 :bangs head: So, both fronts ended up not matching (ditto the backs. 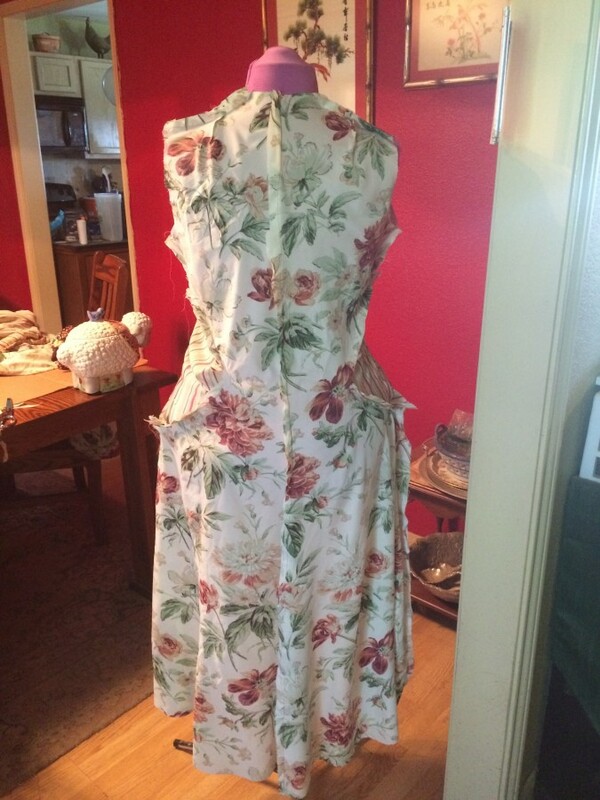 :sigh:) Note made - I will cut the fronts and backs out individually when I get to the "real" fabric. 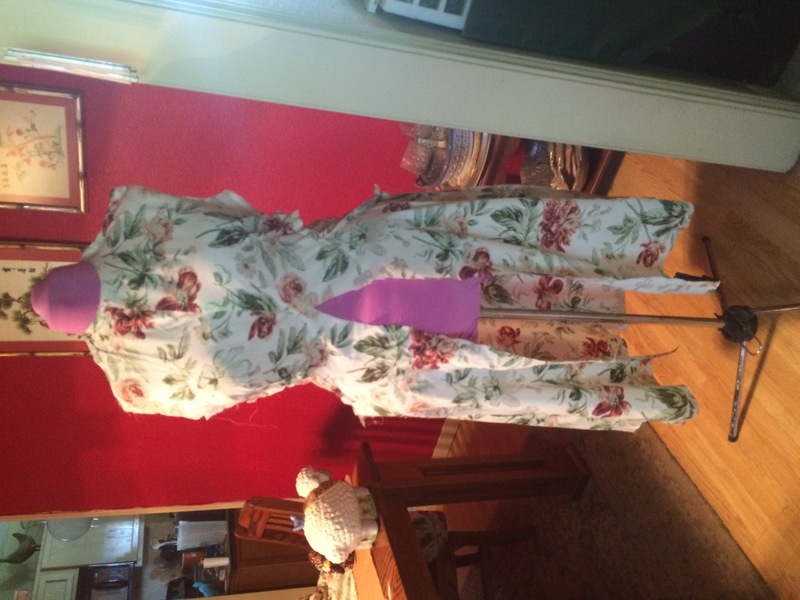 I did lay the pattern pieces back down and trimmed the fabric, but the pieces weren't 100%. I figure, they're close enough for this...I hope. I took the parts to my machine, set it on the basting stitch (6 stitches to the inch), and sewed it up. 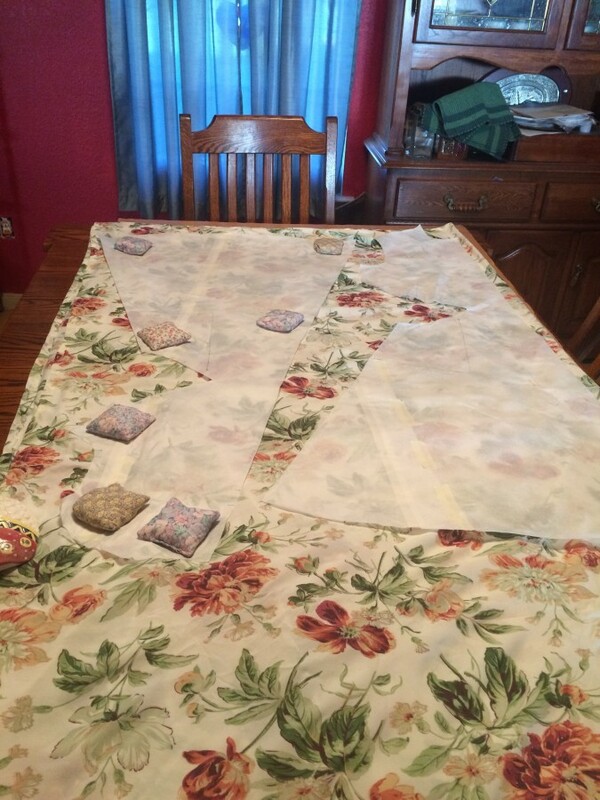 Problem: I am used to quilting, where you use a 1/4" seam allowance. This? Has a 5/8" seam allowance...and it just looks HUGE to me. 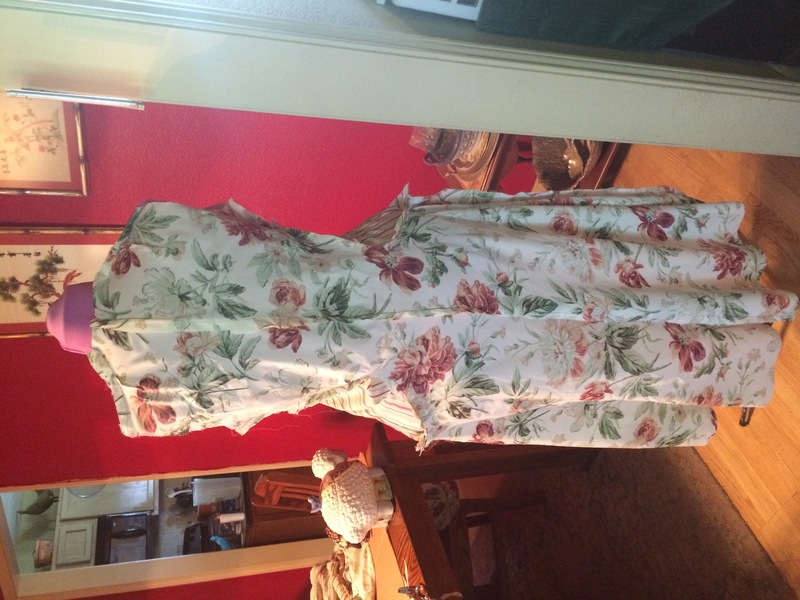 I get *why* you want more fabric in the seam allowance...but I foresee a LOT of french seams in my future. Or slightly more ease in my clothing. :lol: (1/4" on both sides will give me almost 1/2" EXTRA ease - not something you really want. :sigh:) I tried to use the seam guide on the faceplate, but if I quit staring at it like a manic, I reverted to trying to shrink it to 1/4". I need to work on this. I need to think about the skirt.....I think I need to grade the pattern up to the next few sizes in the hip area (even though the size I chose MATCHED my hip measurement.....not sure what's up with that, but whatever. I was pretty sure I was going to have to re-vamp, anyway - I'm hard to fit.). 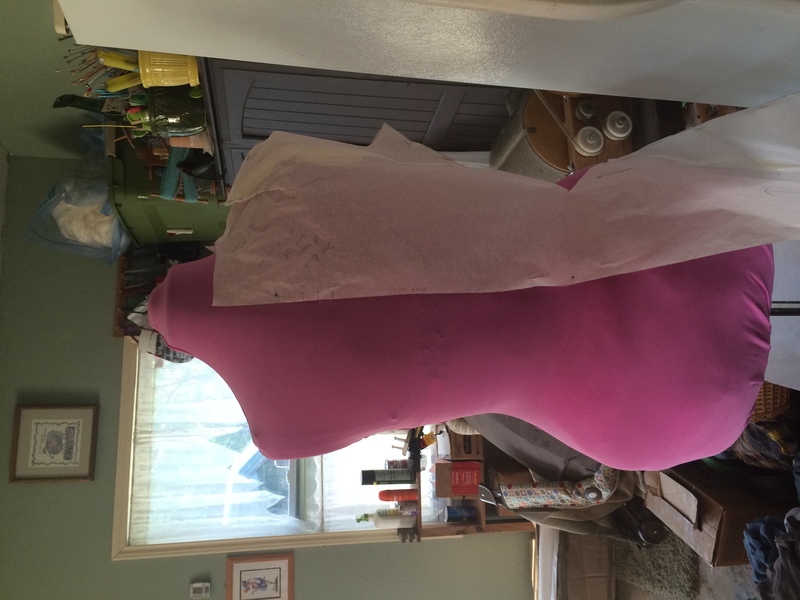 I'm also not sure about the fit in the waist - I'll re-trace the pattern, up-sizing the hips, and cut it out of the other sheet before I make any determination. This entry was originally posted at http://fiberaddict.dreamwidth.org/844114.html. Please comment there using OpenID.